OAKS, PA – The 31st edition of the Pioneer Pole Buildings Motorsports 2016 Fueled by Sunoco Race Fuels and Distributed by Insinger Performance Race Car and Trade Show takes place here at the Greater Philadelphia Expo Center from January 22-24. And a featured car in the exhibit that will pay tribute to the 123-year history (1903-2015) of auto racing at the New York State Fairgrounds in Syracuse will be the red, white and blue No. 00 1937 Chevrolet coupe that Buzzie Reutimann twice drove to victory (1972-1973) in what became Super DIRT Week’s main event. One of the most-recognized cars to ever compete in Northeast Dirt-Track Modified Stock Car Racing, the iconic machine – which is displayed at the Dirt Museum & Hall of Fame in Weedsport, New York – will be a focal point for Motorsports visitors as they view one of the best examples of the cars that raced during the late 1960s and early 1970s. And the ever-popular 74-year-old Reutimann will be part of the autograph session on Saturday January 23 with some of the other drivers who made history on the old 1-mile dirt track. When you talk about auto racing history at Syracuse it’s hard to forget Reutimann’s two wins in DIRT Motorsports founder Glenn Donnelly’s most-significant event and how they helped to make the New York State Fairgrounds the place to be each autumn for 44 years (1972-2015). A professional racer from Zephyrhills, Florida, Reutimann came to the Northeast in the mid-1960s and quickly became a winner. And when the racing-season resident of Asbury, New Jersey, arrived at the Fairgrounds with his patriotically-painted Chevy coupe for the Oct. 1, 1972, running of the inaugural Schaefer International 100, he was well-prepared for the challenge of the unforgiving, hard-and-slick Syracuse track and that of the other competitors out to win the $5,000 ($28,566 in today’s money) first prize from Donnelly’s $30,000 ($171,395) purse. Built on a Reutimann-modified 1954 Chevrolet frame, the Dover Brake- and Kendall GT-1 Racing Oil-sponsored entry had a nicely-trimmed 1937 Chevrolet coupe body that continued to be Reutimann’s trademark even after more-modern Ford Pinto and AMC Gremlin sheet metal began to be used. And it was powered by a 513-cubic-inch Chevy V-8 engine with one 4-barrel carburetor that Bud Friend prepared and Reutimann assembled. The exquisitely-built race car with “GO FIRST CLASS” lettered in white on its blue roof over the rear window also had: coil-over shocks on its solid front axle and parallel leaf springs on the rear; finned-aluminum Buick drum brakes; and, hand-grooved M&H Racemaster Tires, including the same 17-inch-wide rear ones that Reutimann used on the 5/8-mile “hard-clay” Orange County Fair Speedway in Middletown, New York. And even though some Modifieds had gone to a center-seating position, the car’s builder-driver opted for the left-side location. In effect, Reutimann’s ride was just like the other 131 cars that had signed-in at the Fairgrounds; weekly-used short-track machines that were “tweaked” a little for competition on the legendary Syracuse Mile. But the savvy bespectacled-racer was able to do one additional thing to give him an extra edge that most everyone else could not do. As the result of having two virtually-identical cars at his disposal, a month before the big race Reutimann took one of his machines out of service and spent considerable time thoroughly going over it and preparing it for what he knew was going to be a rugged test. Plus, his race-long plan was to “drive his car” through the sweeping Syracuse turns while the other drivers “slid their cars” through them as they did at their local tracks. And Reutimann’s method of getting around the “Moody Mile” helped to save his tires and paid great dividends. There was a slight problem, though, in 1972 that had to be dealt with as after 93 teams made Friday practice runs all-day Saturday rains – imagine that at Syracuse! – forced the time trials and heats to be run on race-day Sunday. So, after early-morning practice, 102 cars ran against the clock with Kenny Brightbill posting the quickest lap of 38.359 seconds at 93.850 mph. Then, once the heat races helped to fill the 45-car main-event field, track crews did their best to smooth out the rough inside and outside lanes during pre-race awards ceremonies. And when all was ready Reutimann and his “Double-O” race car took the starter’s green flag from the 10th position on a track whose infield was so wet that no one was allowed to park there. In order to be in place for a run to victory, Reutimann made his mandatory pit stop for gas at about half-way and that allowed him to build a lead while others made later stops. And after a long day and race was finally over – one that saw nine yellow flags and only 25 cars running at the finish – a tired but jubilant Reutimann led Jerry Cook (in one of his NASCAR Asphalt Modifieds) and Stan Ploski – the only two drivers he did not lap – across the finish line in 1 hour and 39:23 minutes at an average speed of 60.372 mph followed by Mike Grbac and Will Cagle. The second Schaefer 100 was held on Sept. 30, 1972; the purse was upped to $50,000 ($276,249) with a winner’s prize of $6,000 ($33,150) and some 18,000 fans turned out to enjoy the race and the overall improvements – including a new 16,000-seat covered grandstand – which Donnelly had made to the New York State Fairgrounds. When qualifying was finished, Tommy Corellis won the pole with a lap of 37.079 seconds at 97.093 mph that was 1.28-seconds quicker and over 3 miles-per-hour faster than Brightbill’s 1972 mark. Yet, while he led the most laps, the 35th-starting Reutimann – who again made an early gas stop but also had to deal with overheating problems in his No. 00 – repeated as the winner in his trusty coupe as he bested Corellis, Cagle, Bill Wilson and Gerald Chamberlain. Buzzie Reutimann – who was the first to install a power-steering unit in a Dirt-Track Modified and the last to field a winning car with an “old-style coupe body” – won the Modified titles at: the old half-mile East Windsor (N.J.) Speedway in 1966; the old half-mile Nazareth (Pa.) Raceway in 1972 & 1973; and, at Orange County in 1972 & 1974. And, in addition to his two Syracuse victories, the Eastern Motorsport Press Association and DIRT Hall of Fame member’s major extra-distance dirt-track wins include: the 1970 Daniel Boone 200 at the old half-mile Reading (Pa.) Fairgrounds; a 150-lapper at the old 1-1/8-mile Nazareth (Pa.) National Speedway in 1971; the 1972 Eastern States 200 at OCFS; and, the 1975 National Dirt Track Championship 200 at the old 5/8-mile Flemington (N.J.) Fair Speedway. But how many knew or remember that Reutimann – who is still racing and winning with a more-modern “Double-O” Open Wheel Modified at East Bay Raceway Park in Gibsonton, Florida – took his Dirt-Track Modified No. 00 1937 Chevy coupe and won a 100-lap All Star Racing League contest with it at the old one-fifth-mile-asphalt Islip (N.Y.) Speedway? A driver with previous asphalt-racing experience, Reutimann was one of the stars of the old All Star Racing League (1967-1973) which had teams of dirt and asphalt racers from eight tracks in the Northeast and two in Canada that competed in special mid-week events. So when the ASRL scheduled an event for Islip on Wednesday night July 18, 1973, he setup his No. 00 – the same car that he had used at Syracuse – for the rigors of the tight Long Island speedway. When the race started, Reutimann was in the rear of the lineup with 30 slow-slung Asphalt Modifieds as his competition. But he and asphalt specialist Charlie Jarzombek moved up through the pack and by lap 39 they were in fourth and fifth place and just kept coming. On lap 90, pole-sitter Jim Landry continued to set the pace but a spinning car forced him to go wide while Jarzombek and Reutimann slipped by. Then the two back-starters ran the last 10 circuits in a spirited battle that ended as Jarzombek’s engine blew in the first turn of the final lap. With just three turns remaining, Reutimann had to avoid a stalled car before taking the checkered flag ahead of Landry and Bill Greco, while “Charlie J” was credited with finishing sixth. As Reutimann said then and still says today, this was one of his most-satisfying victories, especially since he and two-time (1968 & 1971) ASRL Champion Lou Lazzaro were the only drivers to win on dirt and asphalt in the ASRL’s 37-race history on 18 paved and 17 dirt tracks. Reutimann’s unexpected victory was the first time that an All Star asphalt event had been won by a dirt-track car. The $1,125 victory ($6,215) also gave him the point lead and that helped the eventual “AARN Driver of the Year” win the 1973 ASRL title after four runner-up finishes. OAKS, PA – The No. 112 Kenny Weld-built Dirt-Track Modified which Gary Balough drove to victory in 1980’s Schaefer 125 at Super DIRT Week IX is one of the most-significant racing cars that ever competed on the old 1-mile track at the New York State Fairgrounds in Syracuse. Undoubtedly the most-unusual Dirt-Track Modified Stock Car that was ever created, in one fell-swoop this unique car – which is a permanent fixture at the Dirt Museum & Hall of Fame, in Weedsport, New York – changed the sport forever. And it is the reason why for the past 35 years we have had the Dirt-Track Modifieds that we know of today. Looking back, however, it must be remembered that this car’s story was written at a time when untethered ingenuity was not only encouraged but expected to be accomplished by a handful of people who were always searching for that extra competitive edge. Built when the DIRT Motorsports Rule Book only listed minimum requirements, this “famed or infamous” Modified was created after Weld consulted a variety of “out-of-the-box sources” in an effort to assemble something that was much-more effective on the race track than anything else that had ever been seen. And when it was first seen at the Fairgrounds it certainly raised more than one eye brow and generated a variety of complaints; a situation that got even greater after Balough took the car out onto the race track. But what Weld brought to Syracuse was not unexpected by DIRT Motorsports officials as the man behind the project went the extra mile to see that what he and his co-creators – open-wheel race-car builder and metal fabricator Don Brown, former Northeast Modified driver and 1970 Daytona 500 winner Pete Hamilton and master engine-builder Mario Rossi – were doing was not going to be a waste of their time and efforts. For in this regard, Weld – who was a talented Sprint Car and Dirt-Track Modified Stock Car driver – provided an all-expense-paid trip to his shop in Kansas City, Missouri, for DIRT Inspector Don Buschbascher to examine the car a week before the activities at the Fairgrounds were to begin. And because of the way that the DIRT Rules were then written Buschbascher could do nothing after his examination but tell Weld his car would be approved for competition. Identified on its entry blank as a Lincoln Town Car Mark X/1 that was entered by Prime Time Racing of Opa Locka, Florida, the shiny-black Modified with red accents and gold numerals had as one of its more striking features a large, high roof that doubled as an aerodynamic wing. The stunning aluminum-bodied racer was powered by a Ron Hutter-built Big-Block Chevy engine with one 4-barrel carburetor and it also featured: wide louvered side pods flanking its center-oriented driver’s compartment that helped to cool its relocated radiator; a deck lid with a Continental-style tire cover that resembled the rear wing on a rear-engined USAC Championship Car; and, ground-effects side skits that gave the car a very low profile. In no uncertain terms, this was a very unique piece and Balough – who was a three-time winner (1976-1978) of Super DIRT Week’s headline event – showed just how much above the rest of the entries his ride was when, while running at less than full throttle during Thursday time trials, he won the pole with a 31.957-second lap at a speed of 112.853 mph. To put things into their proper prospective, Balough’s solo run bettered Kenny Brightbill’s two-year-old track record by more than two seconds. And to add more fuel to an already-burning fire it was 1.246-seconds faster than the lap-time posted by outside-pole sitter Sammy Beavers (33.302 mph at 108.433 mph) who was driving the same Tony Ferraiuolo-owned purple and white No. 73 Chevy-powered AMC Gremlin that Balough drove the year before. As expected, time trials opened-up an unprecedented storm of protest. Not only was Balough’s car in question but he had not raced at all that summer in the-then CRC-sponsored Super DIRT Series; the qualifying events that led up to the October events at the Fairgrounds. So on the Saturday morning before his big race DIRT founder Glenn Donnelly addressed all of that. “We don’t want to see ground-effects cars in short-track racing,” Donnelly said. “All of our rules are geared for minimums. No track that I know of has maximum limits. Of course, by this time there was nothing anyone could do about things, although some teams tried to take what Weld and Co. had created and adapt those changes to their own cars. In a kind-of “trial-by-error” brand of engineering, crewmembers added a variety of fabricated aluminum panels to the roofs of their “traditional Dirt-Track Modifieds” in an effort to get the same kind of results that Weld got with the high-and-wide roof on his one-off entry. While the Gremlin bodies of eventual second-through-fourth-place finishers Buzzie Reutimann (in Vince Valero’s No. 60), Frank Cozze (in his Grant King-built No. 44) and Geoff Bodine (in his Bill Taylor-prepared No. 99B) – plus the Pinto of ninth-place finisher Brightbill (No. 19) – were aerodynamically widened in an interesting fashion. Despite the fact that no one knew how much Balough was “playing with his competition” while he led laps 1-72 and 100-125, Cozze and his “modified Modified” were able to lead laps 74-81 and two-time (1972 & 1973) Super DIRT Week Champion Reutimann took charge in his “reworked red racer” from laps 82-99. And to complete the lap-count picture, Ed Lynch Sr. led lap 73 under caution with his “regular” No. 88 Gremlin when Balough made his pit stop for gas. But while these overnight body changes may have made some difference to the cars in question, the bespectacled Weld later identified what he felt was his car’s real secret to success and that was a sealed forced-air or ram-air induction system behind its Lincoln grille that was estimated to be 70 percent as effective as a turbocharger when the car got to the end of one of the track’s long straightaways. One of the cries against the “Batmobile” was that “it cost too much” and unknowing persons named any figure that they wished in this regard. However, when Balough was eventually asked about such things he did admit that the car cost $25,000-$30,000 ($76,000-$92,000 in today’s money) to build. But really, the only people who knew if that expense – and the month-and-a-half of 12-14 hour-days that it took to build the car after all of Weld’s study and research – was worth it was Weld and the car’s sponsors (Booth’s Towing Service and Kansas City’s Lakeside Speedway) as Balough’s first-place drive earned the team $26,557 ($81,302.50). In an interesting side note to Super DIRT Week IX, the fifth-place finisher in the 200-kilometer race was Ken Brenn Jr. in the “unaltered” yellow No. 24 Chevy-powered Grant King-built Gremlin that was also subject to some controversy when introduced in 1977 after Ken Brenn Sr. had the famed Indianapolis race-car builder put together something that was new and different. Brenn Sr. and King’s ideas, though, were more attuned to improving on the current style of Dirt-Track Modifieds, so any hullabaloo created by the car that was “First In Class” at Syracuse in 1980 and the car that won the whole thing was very small by comparison. Yet, while the “Batmobile” was quickly ruled to be illegal for competition anywhere after its dominating Super DIRT Week triumph, racers today continue working within the rules that were so established because of this extraordinary car to develop and further improve on the resultant breed of Dirt-Track Modified Stock Cars. And, in large part because of that situation, the legendary No. 112 “Batmobile” remains as one of the most noteworthy and influential Dirt-Track Modified Stock Cars in motorsports history. The late 1960s was a time when Drag Racing’s popular “doorslammers” were at a cross roads. In one camp, the development of Pro Stock was just getting started by those who favored racing production-based cars with high-tech, carbureted, gasoline-burning V-8 engines. While another group modified their OEM cars with stripped-down interiors, full roll cages, chassis adjustments and big racing slicks and they powered their so-called Funny Cars with nitromethane-enhanced alcohol-burning V-8 engines that had fuel-injection, superchargers and individual headers. And one of the best known of this later assemblage was the “Frantic Ford” 1969½ Mustang Mach I that quickly became a contender for top honors all up and down the East Coast. The yellow and black Nostalgia Funny Car that is seen at Motorsports 2016, however, is a contemporary recreation of the original racer and it is owned and driven by Rocky Pirrone from Philadelphia. Additional financial assistance and marketing for the project was provided by Al Liebmann while Bill Ellershaw and Bobby Toth are part of the crew. The history of this car, though, actually dates back to the 1960s AA/Fuel Dragster team of drivers Norm Weekly and Ron Rivero, owner Jim Fox and crewmember Dennis Holding. Then Fox moved to Broomall, Pennsylvania, and began fielding a Mustang Funny Car with sponsorship from K & G Speed Associates and he tagged his entry the “Frantic Ford.” But what makes Pirrone’s version of the car so notable is that as a nine-year-old he helped with the between-round maintenance on the mid-1970s car and his father Joe built its transmission. First seen in 2013, the modern “Frantic Ford” has all of the latest safety equipment so it is legal to run at any National Hot Rod Association or International Hot Rod Association track. And its 120-inch-wheelbased, wide-style chassis and period-correct, elongated fiberglass body (the mold was taken from Gas Ronda’s original 1969 Ford Mustang) were each built by Steve Grunewald and Dale Smith at Coyote Composites in Jupiter, Florida. Under the hood, the car is powered by a nitro-fed 426-cubic-inch Chrysler Hemi V-8 engine with Enderle Bug Catcher fuel injection and a GMC 6-71 supercharger. Additional equipment includes: a 2-speed Lenco transmission by Boss Hydro; M&H Racemaster Tires; real 1970s-era magnesium rear wheels; dual drag chutes by DJ Safety; and, a 9-inch Ford rear end. Simply stated, the “Frantic Ford” is the best of old and new technology and on the drag strip Pirrone’s driving efforts show quarter-mile runs in 6.50 seconds at 220 mph. [vc_row][vc_column][/vc_column][/vc_row][vc_row][vc_column width=”1/3″][vc_single_image image=”7596″ img_size=”large” style=”vc_box_border” onclick=”link_image”][/vc_column][vc_column width=”2/3″][vc_custom_heading text=”Richard Petty” font_container=”tag:h2|font_size:22px|text_align:left” google_fonts=”font_family:Oswald%3A300%2Cregular%2C700|font_style:700%20bold%20regular%3A700%3Anormal”][vc_column_text]The King” is returning to the Motorsports Race Car and Trade Show. After a 30 year absence Richard Petty, the winningest driver in the history of NASCAR Sprint Cup racing, will be appearing at the hugely popular Pioneer Pole Buildings Motorsports 2017 Race Car and Trade Show Fueled by Sunoco Distributed By Insinger Performance which takes place at Greater Philadelphia Expo Center in Oaks, PA January 20-22, 2017. Winner of 200 Cup races, the last one at the 1984 Firecracker 400 at Daytona International Speedway with then President Ronald Reagan in attendance, Petty continues to be one of the most popular figures in motorsports. Now a NASCAR Sprint Cup car owner, fielding the Smithfield Foods Ford for Aric Almirola and Goody’s Powder Ford for Brian Scott, Petty is presently involved in a yearlong celebration of his 80th birthday which will conclude on his actual birthday, July 2, 2017. During the peak of his career Petty was able to do something that most likely will never happen again and that was in 1967 when he drove to victory in 27 Cup races, 10 of them in a row. That car will be one of two of Petty’s famous race cars on display all three days of the show. PPB MOTORSPORTS 2016 RACE CAR AND TRADE SHOW SET FOR JANUARY 22, 23 AND 24! TRENTON, NJ – Save the date of January 22, 23 and 24, 2016! 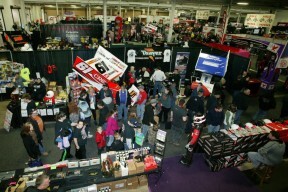 That Friday, Saturday and Sunday, the 31st Annual Pioneer Pole Buildings Motorsports 2016 Race Car and Trade Show fueled by Sunoco Race Fuels and distributed by Insinger Performance will once again fill the Greater Philadelphia Expo Center in Oaks, PA.
With the completion of the very successful PPB Motorsports 2015 event this past January and no plans for changes to the floor plan, Len Sammons Productions is currently working on completing the 2016 Exhibitor Information package. The show will once again feature just about everything there is to be seen that relates to motorsports. The 2015 event featured over 250 race cars, including showcase vehicles from Richard Petty, Dale Earnhardt and Jeff Gordon. Exhibitors from this past January’s event should look for that package to arrive at their doorstep in the coming weeks and will have the opportunity to renew their same space for 2016 show until Friday, May 1, 2015. Those wishing to reserve their same booths are encouraged to contact Tim Hogue at 609-888-3618 or via e-mail at tim@aarn.com. Starting on May 4, the floor plan will be open to the public! For information on the show, check in at www.aarn.com. Shelby Harper a 22 year old beauty from Milford, N.J, who is a bodybuilder, is a hair stylist and races 600cc Micro Sprints, was named Ms. Motorsports 2015 Saturday night at the 30th Annual Pioneer Pole Buildings Motorsports 2015 Presented by Sunoco Race Fuels Distributed by Insinger Performance Race Car & Trade Show held at the Greater Philadelphia Expo Center in Oaks, Pa Friday through Sunday. Dylanne Hodge, 21 of Oriskany Falls, N.Y. was first runner-up in the pageant and becomes Ms. Area Auto Racing News for 2005. A ‘Fans Choice’ Swimsuit competition, distinct from the overall contest, was won by Cait Ross. Rocco, with 31 wins, was the overall Winningest Driver. Rocco also won the most Asphalt Modified and most Asphalt Late Model features last season. 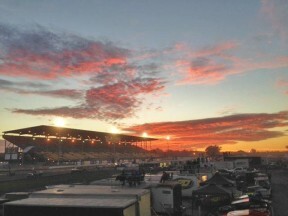 Sheppard claimed the greatest number of Dirt Modified checkered flags, Elliott was the most prolific Dirt Late Model winner Blaney top open cockpit victor and Walton claimed the greatest number of 600cc Micro Sprint tallies. Rocco, Elliott and Walton were on stage to receive their laurels from Cassi Pinder, Ms. Motorsports 2014. Sheppard and Blaney were unable to be present to receive their awards though Sheppard sent a message of acceptance. On Sunday, Jayden Gursky, 11, and Hannah Kormann, 4, were named Little Ms. Motorsports and Tiny Ms. Motorsports. Best Booth Awards were received by Gary Mondschein for Best Open Cockpit display, Mike Geroni for Best Appearing Drag Car, Raymond Boissoneau for Best Appearing Vintage Open Cockpit Car, Kutztown Action Track USA for Best Speedway or Club display, Lehigh Valley Quarter Midget Racing Association for Best Quarter Midget Display, Tri State Racing Memorabilia for Best Vintage Display, Teo Pro Cars for Best Commercial Display, Guy Germano’s 4 Star Lettering Modified for Best Appearing Modified, Ray Evernham’s restored Jerry Cook Modified for Best Appearing Vintage Stock Car and Kevin Nouse for Best Appearing Open Cockpit car. More than 200 race cars representing all forms of the sport were on display. Ed Whitehouse, a loyal employee of Len Sammons Motorsports Productions who was present at each of the 30 prior Motorsports Shows, was presented the Joey Pratt Award Of Excellence. The award has been presented for the past several years in honor of the late Joe Pratt, who served as Show Manager for many years prior to his passing. Andy Bachetti won an afternoon electric indoor go kart celebrity race run on the new-for-2015 oval kart track. The 2015 PPB Motorsports Racecar & Trade Show completed its 30th annual presentation on Sunday. 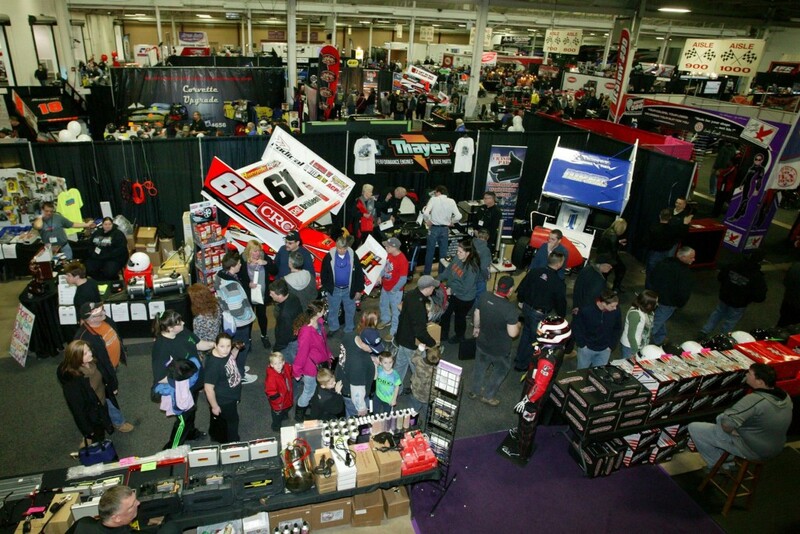 The 2016 PPB Motorsports Racecar & Trade Show is set for January 9, 10, 11, 2016.